Last September, Jamie had the opportunity to speak in front of a large audience during Commission Junction’s annual conference, CJU 2016. During the presentation, Jamie described what he believes is the industries biggest problem, selling the channel to those outside of the channel. Thanks to the team at Commission Junction, you can now enjoy the presentation in its entirety. After you’ve finished, we invite you to join in on the discussion. Use #affiliatemarketingis to share your thoughts on Twitter. ChloeFeedAssembler, the revolutionary web/extractor/site scraper developed by ChloeWorks, is excited to announce it now supports Shopify! Shopify has continued to grow in popularity. The team at ChloeWorks realized the opportunity to offer our popular data feed service so users can pull data from Shopify sites without the need for any tech resources. If you haven’t yet heard of Shopify, it is an e-commerce solution which allows you to set up an online store where you can sell your goods. The interface gives users the ability to customize their storefront, accept credit card payments and track orders with ease. In short, Shopify makes running your e-commerce business a less stressful experience. Curious how to get started? Once you create your account, the Chloe Feed Assembler gets started by crawling your Shopify site. Our bots will grab all the necessary information to complete a full product data feed. From here, our team will map the information on your site to the information needed in most feeds. Chloe Feed Assembler can crawl an unlimited number of products and schedule recurring feed creation and export in advance. Chloe Feed Assembler can export and automatically upload product data feeds to any of the major affiliate networks and shopping aggregators. If you have any questions about how the Chloe Feed Assembler works with Shopify or how to integrate to any of the networks, let us know! ChloeFeedAssember, the revolutionary web extractor/site scraper developed by ChloeWorks, is pleased to announce it is now capable of providing a Facebook Product Catalog Feed to any online retailer in need of importing product data for advertising on the Facebook platform. And, in keeping with their simple approach – no IT resources are needed for this integration. With over 1.5 billion active Facebook accounts in existence, this social media channel presents a massive marketplace. To achieve multi-channel product feed awareness and success, the integration of a Facebook Product Catalog Feed is imperative. Utilizing ChloeFeedAssembler with the addition of this new resource provides the competitive advantage needed as you look to expand in the venues where people shop and research products most. The ChloeFeedAssembler works with very little effort from the advertiser. Simply sign up and request a feed. ChloeFeedAssembler then crawls the requested site on the designated days, assembles the data, cleans it, and exports it to you or directly into your Facebook business account. ChloeFeedAssembler is also capable of exporting to all major affiliate networks including Linkshare, ShareASale, AvantLink, Impact Radius, as well as Google Shopping. CFA can crawl an unlimited number of products and schedule recurring feed creation and export in advance. Simply set up your account and the rest is done with no time needed from the advertiser. Ready to get started? Great! Just choose the service level you wish to utilize – Monthly, Weekly, or Unlimited – create your account, and then we’re off to get things set up for you. That gets assigned to your account. Each time the Chloe Feed Assembler creates your datafeed, it will then send that new product datafeed via ftp to your affiliate network. You then receive an email that it was sent and usually most networks will send you an email that it was completed. 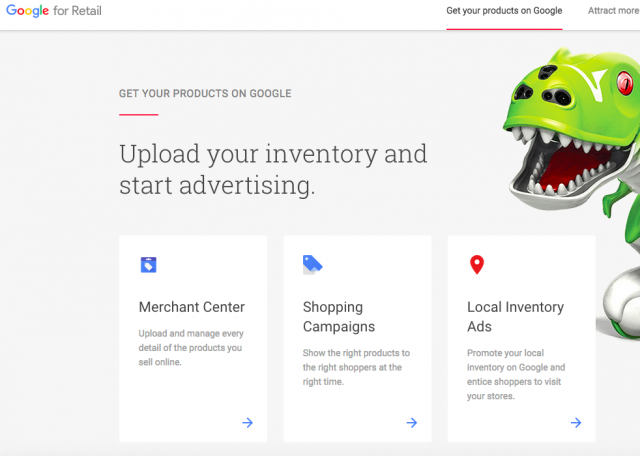 FAQ – Do you provide product feeds for international affiliate networks? Product Datafeeds for International Affiliate Programs? You betchya we do! The world is getting smaller, so it’s vital that your affiliate program reflect that. And you need a data feed that you can use in those markets! So we’ve integrated our Assembler to create and distribute your product feed to the following global affiliate networks: Linkshare UK and CA, AVantLink CA and UK, Zanox, CJ UK and Affiliate Window. These are all available to be scheduled for any recurring time frame and to be “automagically” distributed to these networks via FTP, Email or Browser Upload. Now you can get your affiliate program product datafeed in almost every network with the Chloe Feed Assembler! FAQ – How quickly can you get my affiliate program data feed done? It doesn’t take long, but let’s walk through it. Day 1, you contact us and tell us you want the Chloe Feed Assembler to create your feed for [inset network here]. We then take that day to perform our initial crawl of the site. Day 2 we map your network’s categories with the product information we extracted from your website. The morning of day 3 we deliver you an example feed. Once you approve, we then set that feed up for you on the schedule you wish. Your done! So, about 48 hours from start to finish. Well, we should probably list out the extensive amount of work you’ll need to do to get your affiliate program product datafeed complete. Pull up a chair, grab a coffee, this may take a while. 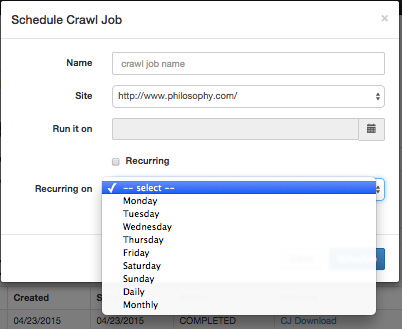 FAQ – How often can you crawl and extract product data for my datafeed? Another great question! We recently launched a new and improved scheduler for our product datafeed creator. This scheduler allows you to crawl your site and extract your product information, and distribute that feed once in the future, every week on a certain day, every single day and once a month on the first day of that month. Each feed begins around 12am PST and is distributed to the network(s) of your choice upon completion. Choose your date and whether you want your feed to be done at regular intervals and you’re done. It’s really that simple to do. You receive emails when your feed is created and then when it was “automagically” distributed to your network. 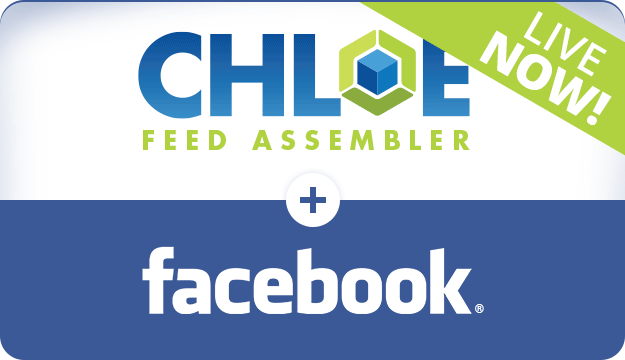 We recently integrated Google’s product feed specifications into the Chloe Feed Assembler and are looking for an advertiser that needs a feed, isn’t able to create one themselves, and would like to Beta test this integration with the Chloe Feed Assembler! We’ll include the setup and 6 months at no charge at all. If you are interested, please contact sales@chloeassembler.com.